Always safety first when picking an accessory for your guinea pig/s. Always remember that guinea pigs like to chew. Make sure that there are no toxic chemicals contained in their new toy. Make sure that there are no sharp pointy bits that they might poke themselves on or any small parts that they might choke on. Guinea pigs don’t necessarily play with toys as such they prefer a nice comfy place they can sit or sleep. 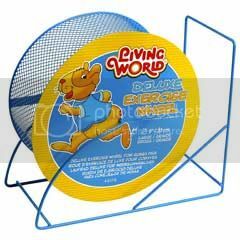 Below are some pictures of acceptable and unacceptable guinea pig toys. Guinea pigs love beds. It gives them a nice comfy place to lie and gives them a chance to rest their feet. Guinea pig hides are a must have in my opinion. It gives them a place to feel safe and secure and as seen in the image they also like to sit on top - this gives them something fun to do. You can get hides at just about any pet store. You can also make your own out of cardboard but you will need to give them a new one every few weeks or more if needed. Guinea pigs love their little snuggle sacks. They are nice and warm on those cold days and they are nice and comfy. Guinea pigs feel nice and safe in their little sack. You can get snuggle sacks from some pet stores and over the internet. This is a fantastic thing to have for your guinea pigs. It is a good activity for them and a nice comfy place for them to have a sleep. 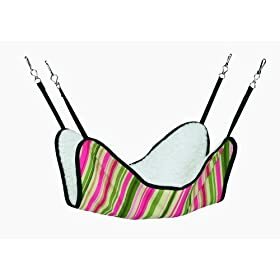 You can get hammocks from some pet shops or online. Tents are very similar to the hides although they do look very funky. Guinea pigs love their tents. 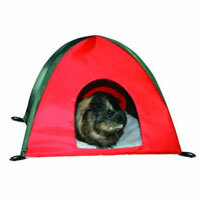 You can get tents at some pet shops or online. 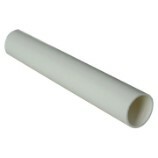 Pvc pipes are a fun activity for your guinea pigs. They can run through them or sleep in them. Either way guinea pigs seem to love them. You can get them from most plumbing stores. These toys can be very dangerous. Guinea pigs' backs are not designed to bend like they are forced to when placed in the ball; guinea pigs have been known to break their backs using these toys and can often cause injuries to their feet, breaking toe nails and maybe even toes! It is also not a very good base for the guinea pigs to be walking on. Guinea pigs have a soft foot pad. Imagine if you were walking on wire that was off the ground - it would not be very comfortable. These toys are not suitable for guinea pigs because they force their backs to bend in a way they are not designed to and have been known to break backs. If they are left in the ball for too long it could cause your guinea pig/s to have heat stroke, dehydration and lack of oxygen. Guinea pig harnesses are not a good idea as guinea pigs may get scared when wearing them and may jump about causing an injury to their backs. It is much safer to have a play pen that you and your guinea pig can sit in outside on the grass or inside.